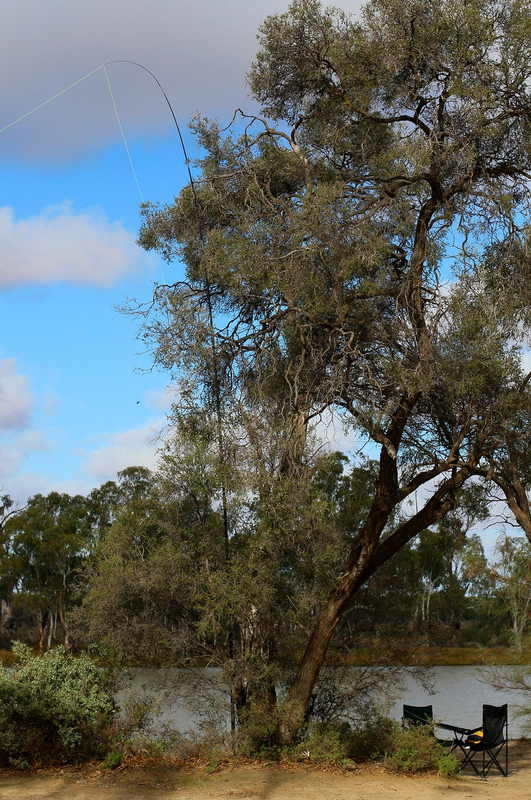 Besides SOTA, I have also become interested in the VK5 National & Conservation Parks Award promoted and run by the Adelaide Hills Amateur Radio Society. I had heard Paul, VK5PAS, out and about activating some of the conservation Parks near his home in the Adelaide hills, indeed, even on his way back from a SOTA summit! The boy is keen! After a bit of reseach, it seems that there are quite a few National and Conservation Parks near my home QTH. As it turns out, I actually have a lovely view over the Kataraptko section of the Murray River National Park from my front door! Armed with this knowledge, I packed up the X-Trail with my portable gear and headed out late Sunday morning, with the intention of going into Kataraptko to put it on the air…However, I got about 1 km in on the access road and after facing the opposite direction to where I should be going I decided that perhaps going in here might not be such a good idea after all…heavy rain the previous Thursday and Friday had made it pretty hard going on the mainly clay based “road”. Time for Plan B! 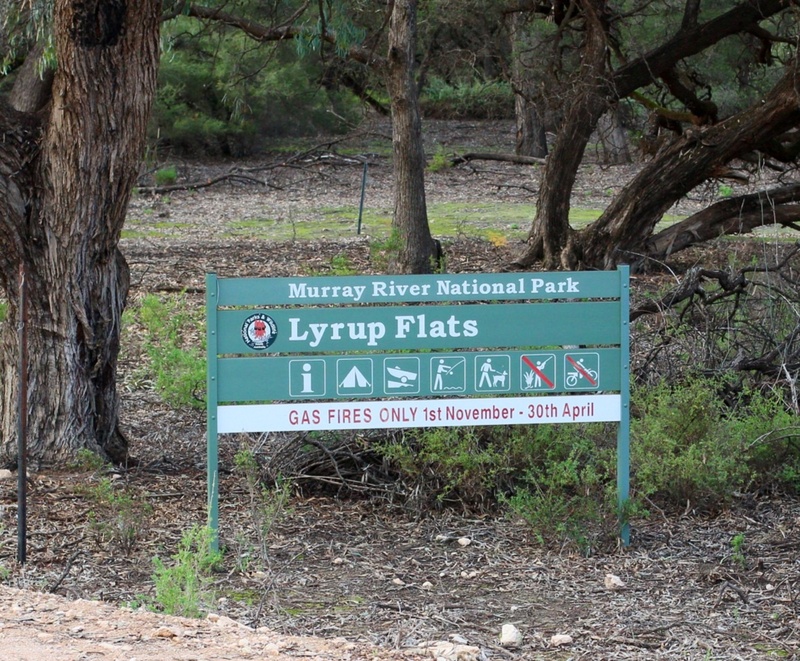 Plan “B” was to head to the Lyrup Flats section of the Murray River National Park, just north of the Lyrup Ferry, a few km from Berri. 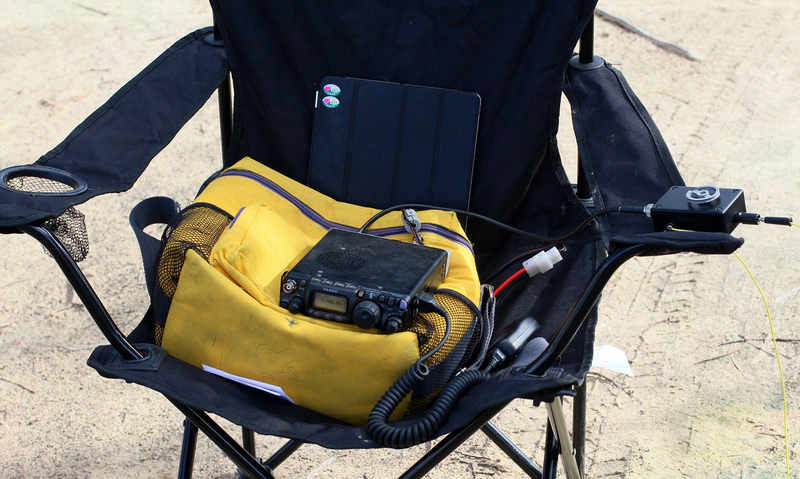 I worked a good number of stations, including VK5PAS Paul, VK3AFW Ron, VK5BJE John, VK5FMID Brian, VK3XBC Duncan, VK3KAB/P Kevin, VK5HCF Col, VK7NWT Scott, VK2UH Andrew, VK3JM Fred, VK3AMB Bernard, VK2ZRD Rod, VK3ZPF/P Peter, VK5KC David, VK3HRA Allen, VK7FEET Warren, VK3ANL Nick, VK5NRG Roy, VK5FAKV Shaun, VK3KCD/M Peter, VK3BJA Brenton, VK3KIS Andrew (on his 2watt QRP rig he built himself from Drew Diamond circuits), VK5DX Gary and VK3PI/P Mark, for the last contact before I had to pack up for the afternoon. I was copying most stations at 59 or better, conditions seemed quite good. This entry was posted in VK5 National and Conservation Parks and tagged Conservation, EFHW, FT817, Lyrup, National, Parks, Portable, VK5. Bookmark the permalink. Nice to have worked you Andy. Great to see you out in the field. Thanks Paul, it will be the first of many, I’m sure!